The five albums 1976 – 81 included three for the Polydor label – Impala Saga (1976), Lovin’ In The Alleys, Fightin’ In The Streets (1977) and Ray Dorset and Mungo Jerry (1978). 1980 saw the compilation album, Six-a-Side and the following year the hard to find Euro-release, Together Again. 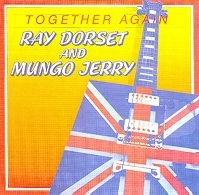 Three Polydor albums were released by Mungo Jerry from 1976 – 1978 that, like their singles counterparts, were more successful abroad than at home. The first Mungo Jerry studio album since Boot Power in 1972 was in the main, a rock’n roll set and despite the poor packaging, was a pretty good album. It included the summery single, Hello Nadine and at the other end of the spectrum, the much heavier stage favourite of many years, Hit Me. 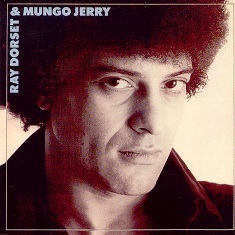 Ray Dorset on Impala Saga…”Most of the tracks that were intended for this album were left off because of a publishing dispute that I had. “The musicians on these recordings were the guys from the Crow line up, so I quickly recorded some more, predominately rock ‘n’ roll type tracks with the then current line up”. Tracks: Hello Nadine/Never Mind I’ve Still Got My Rock’n Roll/Ain’t Too Bad/Too Fast/Ain’t Gonna Work No More/Impala Saga/Bottle Of Beer/Get Down On Your Baby/Hit Me/Quiet Man/Never Mind I’ve Still Got My Rock’n Roll (reprise). Despite numerous single hits, Mungo Jerry seem to have progressed very little since the summer of 1970 when they first made it. Hello Nadine is an example of this stagnation. The same lumpy bass that dominated In The Summertime ambles along and in the middle eight there is a high frequency scraping sound. 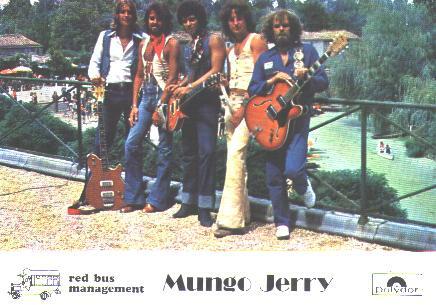 Perhaps it’s the fact that Mungo Jerry has remained dominated by Ray Dorset, and that Barry Murray is still producing the recordings, although for a different label. 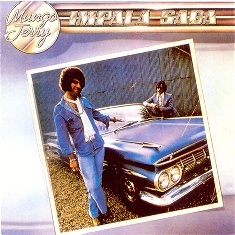 There have been more than a few different Mungo Jerry line-ups since the first hit, but Colin Earl’s still there and he contributes a track called Too Fast to this album. The above criticisms don’t detract from the quality of this recording. It’s all very professional and if Ray Dorset’s writing becomes a little monotonous at times, it’s partly excused by the extremely tight arrangements the band has worked up. Most of the numbers are 12 bars and lyrically the songs are a little imaginative. The most enjoyable track on the album for me is Get Down On Your Baby. With a little in-field promotion, this track could become a disco classic displaying a particularly insidious rhythm coupled with some softly percussive bass playing. The track is recorded beautifully with perfect separation on the guitar and voice making the overall effect soft but hypnotic. Ray Hammond, Music Press, 1976. “When the original Mungo Jerry split up I was gutted at the prospect of them becoming ‘normal’ with the addition of a drummer. “Luckily Boot Power (the last studio album on the Dawn label) proved me wrong. “Even their brief sojourn into ‘glam’ – Alright Alright Alright, Long Legged Woman & Wild Love – failed to put me off. I’d also heard rumours that Impala Saga (the first studio album on Polydor) leaned towards rock ‘n’ roll. “Again my initial fears proved more or less groundless and this album gets better and better the more you play it to the extent that were it not for the original line-up it would have squeezed 5 stars. 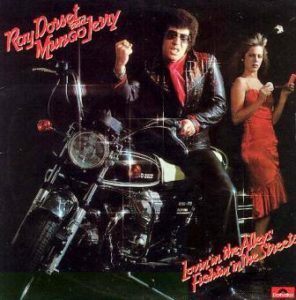 “Ray Dorset (Mr.Mungo Jerry) has an uncanny and rare knack when it comes to songwriting and seems to adapt to almost any style with consumate ease, always producing catchy tunes that instantly feel familiar. “My brother was amazed as well when he heard Get Down On Your Baby for the first time. Being a guitar player himself he told me that an 8 minute or so song is not easy using only one chord without getting boring. “This still means nothing to me but it seems to be a compliment? Buy it and see for yourself. Trust me, you will enjoy”. “When I first heard this album – it was mind blowing! 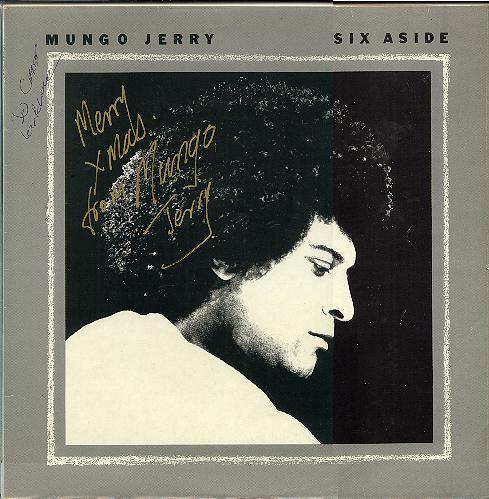 “Ray Dorset has started to transform Mungo Jerry into a major rock talent. “We are introduced to the album with Hello Nadine, a classic Mungo-style track. Why it was not a hit in the hot summer of 1976 I’ll never know? “The music explodes into a great track, Get Down On Your Baby which I have played at hundreds of my own music gigs over the years, and the crowd reaction is fantastic and somewhat bemused that such a classic was penned and played by Ray and the band. “This album is well worth a listen especially on the highways – sunny days and fresh air – wonderful! Lovin’ In The Alleys UK sleeve. 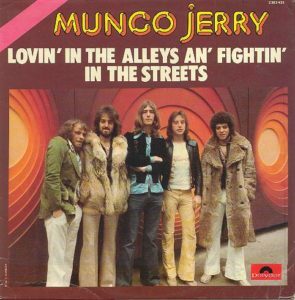 The second Polydor album, Lovin’ In The Alleys, Fightin’ In The Streets, released in 1977 was primarily another rocker with top tracks for me being I Could Never Start Loving You, Gone To Malaya and the stomping Lovin’ In The Mornin’. Tracks: All That a Woman Should Be/I Could Never Start Loving You/Lovin’ In The Alleys an’ Fightin’ In The Streets/The Grease/Dragster Queen/Heavy Foot Stomp/Gone To Malaya/Can’t Keep It Down/Lovin’ In The Mornin’/Just Can’t Say Goodbye. The French release of ‘Alleys’ had a different sleeve and also three previously unavailable tracks that weren’t on the UK issue. We’re Gonna Boogie, I Do What I Want and Lana replaced Just Can’t Say Goodbye, Can’t Keep It Down and Heavy Foot Stomp. Lovin’ In The Alleys French sleeve. Tracks: All That A Woman Should Be/I Do What I Want/Lovin’ In The Alleys, Fightin’ In The Streets/The Grease/Dragster Queen/Lana/Gone To Malaya/We’re Gonna Boogie/Gimme Lovin’ In The Mornin’. “Firstly this review is for the release which includes some extra tracks (which I think appeared on the original French vinyl release) and as far as I know this is the only CD release of this. “The second of the original Polydor albums from the late 70’s. As far as I am aware, this CD was deleted years ago? “All in all this is a good rockin’ album with the only dubious track being Heavy Foot Stomp. “Stand outs have to be, I Could Never Start Lovin’ You, Gone To Malaya, Lovin’ In The Mornin’ and Do What I Want, one of the bonus tracks. 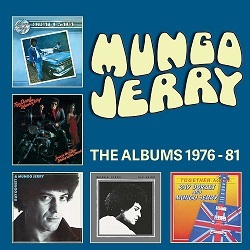 “The electrified Mungo Jerry are far better than most people realise even though I still prefer the original line up. “If you ever manage to come across a copy buy it”! The last album on the Polydor label for Ray and the boys who now featured Tim Green on lead guitar, Larry Anderson on bass and Gary Gazelli on drums. The stand-out track for me was Sugar Mama, a number that became a European single as was Hello It’s You Again. Tracks: Sugar Mama/Hello It’s You Again/Let’s Make It/Hooray It’s Party Time/Goodtime Goodtime/Baby Ride My Train/We’re OK/Give It All You’ve Got/Get Up And Dance/Can’t Get To You/Shadow Of The Trees. “Originally this was released on Polydor after Mungo Jerry had moved from Dawn and why Ray Dorset decided to add his name before the group is anyone’s guess as it is unnecessary! “Compared to the original line up (1970 -1972) and the other original Polydor albums, it’s a pretty weak offering which is only saved by Sugar Mama and Goodtime, Goodtime. “For whatever reason Ray Dorset really lost his way here, perhaps it is down to the loss of those trademark sideburns? “Mind you I saw them live (City Centre Club, Coventry) about the same time as the original release and Ray Dorset and his band at the time (line-up changes were constant) certainly put on a damn good show”. Released in April 1980, Six-a-Side was a compilation album that was a godsend to all those UK based fans who had found the European singles like, It’s Secret, Lana and Sur Le Pont D’Avignon hard to find. It was an excellent package, available in Europe with an alternate sleeve and included the limited edition single for Ray Dorset’s own Satellite label, What’s Her Name What’s Her Number and the UK singles, Dancin’ In The Street and Summertime Holiday. A non-UK release, but issued in Holland and other European territories, including Spain where, very strangely, probably the best number, How Can I Live a Lie was left off. Despite the extremely poor packaging, Together Again. was a very strong album with every track of high quality. “I don’t remember exactly why the Crow line-up split but Chris stayed with me and Pete Sullivan, who was with Bronx Cheer and also done some gigs with me when Dave Bidwell was ill, joined the band on drums. “After a phone call, Colin came over to visit me at my house in London and we decided to work together again. “Joe was happy to be in the band and yes, we called up Bizz to join us too. “In France, we did 23 TV shows that year, also in Germany where we made many tours with that line-up.